Got a problem with your car or van? Not starting, running badly, a dashboard warning light on, using too much petrol or diesel, auto electrical fault, need a jump start and much much more. Car and Van Jump Starting and New Battery Fitting Mobile Service Roadside Assistance and Recovery Service Auto Electrician Mobile Service Mobile Locking Wheel Nut Removal Service AM Diagnostics! 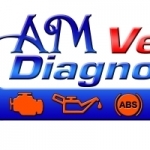 - Auto Electrician, Engine Diagnostics, Vehicle Diagnostics, Car Servicing, Mechanic, 4x4 (four wheel drive) Response Breakdown Recovery Vehicle. Inc. first hour's labour, diagnostic check, deleting diagnostic trouble codes (dtc), jump starting and roadside assistance. Car and van jump starting and new battery fitting mobile service, roadside assistance and recovery service, auto electrician mobile service, mobile locking wheel nut removal service, 4x4 response breakdown recovery vehicle service. Jump starting, alternator check, battery fitting, car servicing, head gasket check, brakes check and fitting, breakdown call outs and recovery welding. No job too small! Takes pride in their work. Colindeep Motors is a small independent garage and workshop, with mechanics and technicians that have over 45 years experience in servicing and repairing cars. Car Servicing and maintenance: From intermediate serving, oil and filter change plus small inspection service, all the way up to a full main dealer service and inspection which covers all serviceable parts and fluid change. Clutches: We offer a free clutch check, we can replace your clutch if warn or slipping to your dual mass flywheel if becoming warn or noisy. replacing your Timing belts or timing chain. MOT testing: At no extra cost we will inspect your vehicle and enter it for its MOT test with one of our local partners, therefore you will get an unbiased result from the testing station. Mot failures repairs: If you have had a MOT at another garage and have been quoted for repairs come to us and see if we can beat them.